Patagonia adventure booked for a returning client who had previously gone on a Tanzania Safari. The clients’ request was if we could recommend a tour company who would offer the same excellent service provided to him in Tanzania – and here we were – all pleased to assist with the adventure in Patagonia ! Patagonia, is one of the bucket list adventures . This southernmost stretch of South America is one of the few places left on Earth that offers a genuine expedition experience where jagged mountain peaks shoot into the sky unbowed by millions of years of gale-force winds, and glaciers get bigger with time. 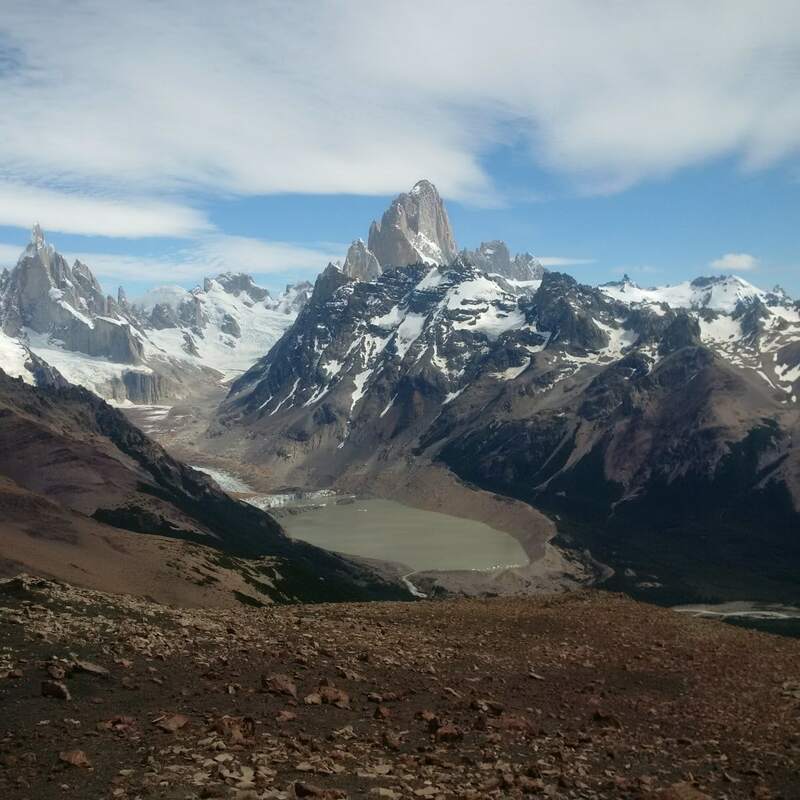 You will be amazed by the incredible views as you hike in the Fitz Roy area of Argentina, trek in Chile’s Torres del Paine National Park, cycle Milodon Caves and sea kayak amongst icebergs on Grey Lake. You’ll visit truly some of the most amazing places on Earth, by foot, kayak, bike and boat. It’s the type of scenery that leaves an indelible impression in your memory – one that photos will never quite manage to replicate. Mr. Juan Bueno has forwarded us the fabulous photos from his trip. If you like the look of this tour or want a similar itinerary of your own, enquire now using the ‘Book Now’ button above.